Time is running out to avoid a strike at 14 ports from Boston to Houston that could choke off half of the ocean containers carrying goods to and from American shores. 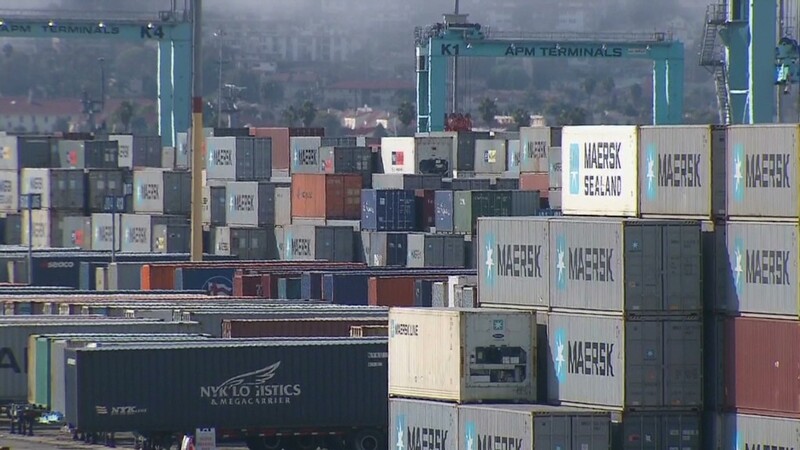 Businesses that depend on the flow of goods are warning of billions of dollars in economic damage if the 14,500 members of the International Longshoremen Association (ILA) go on strike at 12:01 a.m. Sunday as threatened. But despite federally mediated talks taking place this week, efforts to reach an 11th-hour deal -- or at least a contract extension to keep workers on the job -- appear to be a long shot, as the union continues to balk at a key negotiating demand of management. If a strike does start, tens of thousands of other workers at railroads, trucking companies and warehouses handling freight that moves through the ports could find themselves out of work. And shipping costs will rise on a wide variety of consumer goods. The ports also accept many items crucial to keeping U.S. factories running, such as auto parts and heavy machinery. The U.S. Maritime Alliance, known as USMX, representing management at the shipping lines, terminals and ports along the East and Gulf Coasts, says it can no longer afford the per-container payments, known as royalties, that go to the unionized workers. It says those payments average $15,500 a year per worker, which takes the total cost of wages and benefits to an average of $124,138 per worker. The union, which has not gone on strike since 1977, says the wage and benefit estimates being given by USMX are inflated. It vows it won't consider any changes in the royalties, and will only grant the extension being requested by USMX and the federal mediator if the issue of royalties is taken off the table. "USMX seems intent on gutting a provision of our master contract that ILA members fought and sacrificed for years to achieve," said ILA President Harold J. Daggett. Businesses that ship goods through the ports are banding together to ask the Obama administration to take legal action under the Taft-Hartley Act to order the union to stay on the job. The business alliance includes umbrella groups such as the U.S. Chamber of Commerce and National Association of Manufacturers, as well as trade groups representing retailers, automakers and makers of a wide range of products including chemicals, toys, food and clothing. "Just the threat of a shutdown impacting the East Coast and Gulf Coast ports creates a level of uncertainty in a fragile economic climate which has forced many businesses to once again enact contingency plans that come at a significant cost to jobs and our economic competitiveness," said a letter the business group sent to the White House on Dec. 18. But the unions are typically opposed to being ordered back to work. President George W. Bush went to court to order port workers back on the job during a 2002 West Coast strike. But the Obama administration declined to use those powers earlier this year to end an 8-day strike at the nation's busiest container ports in Los Angeles and Long Beach. Those two ports between them handle more than a third of the nation's container traffic. So it appears pre-emptive action by the president is unlikely.